Needlessly exposing kids to measles puts them at risk of blindness and death. How did Science fail to make this clear? In February, there were news reports of California families hosting “Measles Parties” to intentionally expose their children to the potentially fatal disease in order to gain immunity while avoiding the measles vaccine. In attempting to understand what vaccine-doubting or even measles-promoting adults could possibly be thinking, Landmark Report spoke with Canadian virologist and post-doctoral research fellow Dr. Logan Banadyga, and Dr. Baruch Fischoff, professor of Social and Decision Sciences and Engineering and Public Policy at Carnegie Mellon University. Neither man could fathom what such parents were thinking, but both pointed squarely at communications by the scientific community – or lack of such communications – as a major contributor to the incredible, entirely preventable situation North Americans now face. 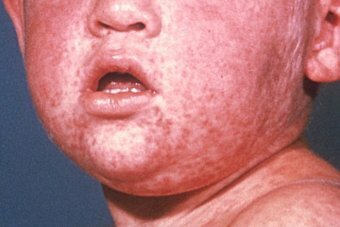 Westerners may believe that measles and mumps are relatively benign diseases, because science has not made a concerted effort to communicate the more serious risks, Fischhoff believes. “People view the diseases merely as an inconvenience because they don’t know of complications that can arise; the medical community knows these things, but other people generally aren’t aware… we haven’t provided them with the evidence, or communicated the risks. The risk of blindness and death, my guess is that very few people know about that,” Fischhoff points out. Banadyga conducts research in virology in western Montana and has dedicated his life to fighting infectious disease; he is particularly concerned with children’s health. “We know from decades of research that vaccines are one of the most effective public health measures that we have ever undertaken,” he points out. “So rationally, vaccines are a great idea. We have the data to prove that. It’s not just a bunch of scientists or big pharma getting together and deciding that they could make money off this. We know how to improve quality of life and it improves children’s’ lives – that’s a FACT. “When you think about these Californians who are having measles parties – people have been doing this with chicken pox for years – you think, ‘You are exposing your child to a disease to which that kid does not have to be exposed and sure, they’ll probably survive if they get measles, but they’ll still get sick, they could potentially get very sick, and they could potentially die. “You’re exposing them to that virus for no other reason than the completely fallacious belief that you think vaccines are causing more harm than good.” Science, he believes, has not done enough to combat such emotional beliefs which often trump rational thought. Both Banadyga and Fischhoff commented on the frustration and exasperation scientists and even doctors feel in attempting to communicate well-documented, factual evidence to parents who cling to irrational beliefs. Dr. Baruch Fischhoff, professor of Social and Decision Sciences and Engineering and Public Policy at Carnegie Mellon University is one the pioneers in the development of Risk Communications, a precise process in which testing how a message is received, understood and acted upon is a critical component in decision-making. He was instrumental in assisting the Public Health Agency of Canada in developing its Strategic Risk Communications Framework, which was released in 2006.
evaluating the success of communications programs.